Ring My Stylist is the easiest way to connect with your clients and to book your appointments. Download for free. 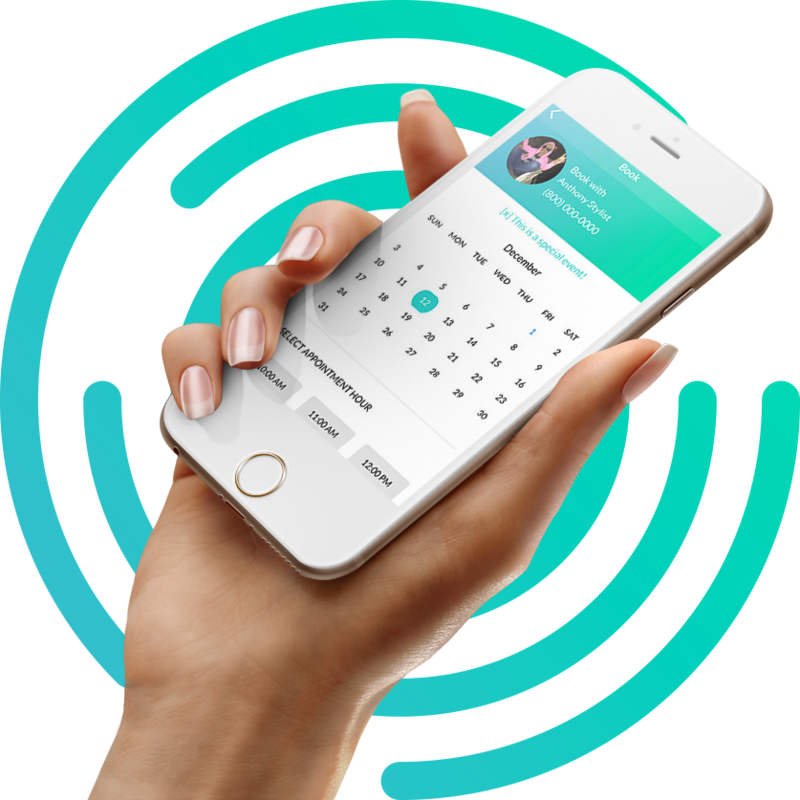 Ring My Stylist - More Than Just An Appointment Booking App, It’s Life Made Easy! Are you an Independent Stylist - Hair Stylist, Esthetician, Makeup Artist, Skincare Specialist, Nail Artist etc? Do you want to schedule an appointment and connect directly with your stylist with relative ease? Or perhaps you’re just looking to make your stylist business more professional and organized. If yes, then congrats because things just got better! We bring to you a new reason to smile and it’s called - Ring My Stylist! Ring My Stylist is an appointment booking software solution specially designed to make life easier for all independent stylists and their clients. Possessing a handful of unique features with a beautiful and incredibly user-friendly interface, the groundbreaking app is designed to be a trusted partner for managing all aspects of your business. Whether your stylist business is structured to take payments on the go or at the front desk, Ring My Stylist will help you run and grow! The Ring My Stylist’s Difference! With Ring My Stylist, its a first class experience for all! You get to treat each of your clients like a VIP, send friendly automatic reminders to help reduce no-shows, stay organized and professional, provide clients with a convenient online method to reschedule appointments, improve and maintain your high standard of delivery, customize everything to match the look and feel of your business and lots more! 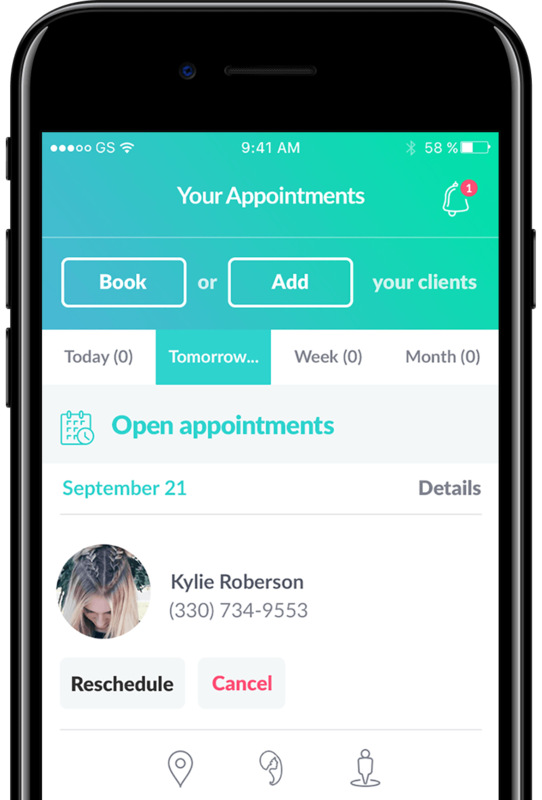 Clients can connect directly with their Stylists, view open and past appointments, reschedule appointments with ease, view hair and scalp health history and more simplified solutions making your everyday hassles a breeze. Quality Delivery Is Important, But Good Planning & Direct Connection Comes First! What Ring My Stylist does to your business is simple - it earns you the glorious opportunity to showcase the quality of your services, gain customer’s loyalty and ultimately, grow and expand your business. 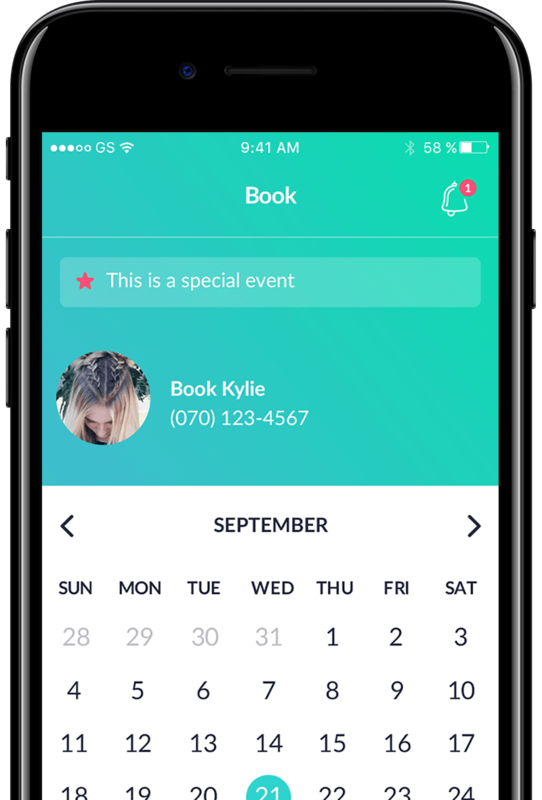 Ring My Stylist is an Appointment Booking Software Solution for Independent Stylists. Organizing a busy business life can prove to be a herculean task especially when there’s only a little time available. Hectic Stylists life with numerous responsibilities require the Ring My Stylist app for careful planning to make sure they run smoothly and without hassles. It is the first app designed to manage every aspect of an Independent Stylist’s business. Every Independent Stylist’s Top Choice! Ring My Stylist is not only the best, but also the first of its kind. Available in English, Spanish, Italian and Portuguese, Ring My Stylist is made for all! Our solution is unique and specially optimized for Independent Stylists (Hair Stylist, Esthetician, Makeup Artist, Skincare Specialist, Nail Artist, Hairdresser, Fashion Designer, Barber, Tattoo Artist, Masseuse, Image Consultant/Stylist, Foot Masseuse, Body pierce, Manicurist, Eyelash Technician, Photo and Film Stylist, Bridal Make-Up Specialist, e.t.c.) - people working independently in salons or people renting booths. We believe in the power of one-to-one connection between stylist and clients! With all aspects of your business being carefully managed, you get to focus more on what really matters like improving on your services or even taking your dog out for a walk! The app features a full blown, impressive and remarkably user-friendly interface which takes little or no time to get accustomed to. Thereby making life more enjoyable, organized and hassle-free. Let me tell you a little bit way I think this app deserves recognition first of all that allows you to keep a professional relationship with your clients. This app allows you to enter information regarding the scalp density thickness fullness color condition of the hair. It also allows you to remember notes. You can take before and after then submit them to your social media. This app places you schedule at their needs. I can put a menu of my services informing the client what I specialize in and the price for his or her hair. Also, like the fact that it allows us to keep a hidden diary of the chemicals used in the client's hair. time, amount used. Two thumbs up!!!! It's a great app it allows me to be in touch with my clients anywhere I am, providing me with less cancellations, and the best part is that the app is very easy to use, and personalize for your clients plus, client profile and your services, is up to u to create or accept appointments, I love it 100% recommended try it out you won't be disappointed. My whole schedule in the tip of my fingers. I have been using the App for about 8 months now and have seen several updates. No matter what, all of my information has always followed along with each update. That being said I have noticed my cancellations or missed appointments are almost, (almost) zero. I was saved by this app about a week ago. I have a male client that I color his hair and beard. We have worked together to get his color perfect. After about 3 Appointments we got it exactly how he wanted it. He had some personal issues and I hadn’t seen him for about 6 months. Well, guess what, he walks in and I couldn’t find his formula. I didn’t recall him being in this app. I checked to make sure and bam there it was in one of his previous appointments. So just like that I was able to apply his color and he was super happy and I played it off like the pro I am lol. Thank you to whoever put this app together. I love the newsletters too. The digital revolution is in full swing. We are now able to do more than ever humanly thought possible at the touch of a button just using our phones. You can schedule your whole life to suit your needs, book a doctors appointment, have groceries delivered, plan a holiday and talk to friends in remote parts of the world. We are more connected than ever and it was just a matter of when not if the beauty industry took advantage of all the emerging technology. The Beauty industry is able to weather all types of financial storms but the rise of the independent stylist and freelancer added a new dynamic to the industry. Most clients value quality over price but it became increasingly more difficult to find, and book services in your local area. Social media made it easier for people to showcase their work but many stylist are inundated with client requests and needed a management tool that allows for simple and quick bookings. Apps such as Ring My Stylist truly put the consumer and independent artist at the forefront. Its simple interface allows clients to search and book services in their local area. What sets this app apart is the service provider interface. It goes well above regular apps which only allow for scheduling. With Ring My Stylist you are able to manage your client list, send out reminders, list color formulas, plus many more feature being added regularly. You can track a clients progress with integrated before and after pictures plus notes on hair and scalp health. No shows and endless back and forth messages are almost irradiated as reminders are sent out before appointments, and customisable services and price list allow for one-touch bookings. Never before has it been so easy for independent stylists and service provides to effectively manage their time without costly programs. It really has become a buyers market where the client is able to select from such a high calibre of stylists. Gone are the days of having to search or visit salons to find the perfect fit. With a few swipes you can find the perfect match and book a service without any hassle. The Ring My Stylist team thoroughly evaluated current technology which usually only provide one of the features such as scheduling but both clients and stylist found it didn't provide enough support or left.much to be desired. Currently available in several languages we are tirelessly working to make sure we stay ahead of the game. Even people who claim not to be technology savvy have commented on the ease of use and have recommend the service to friends and family. Technology moves and lightning speed and it is easy to feel left behind. Having a few strong tools will keep you ahead of the game and not only increase visibility but make the business side run much smoother. 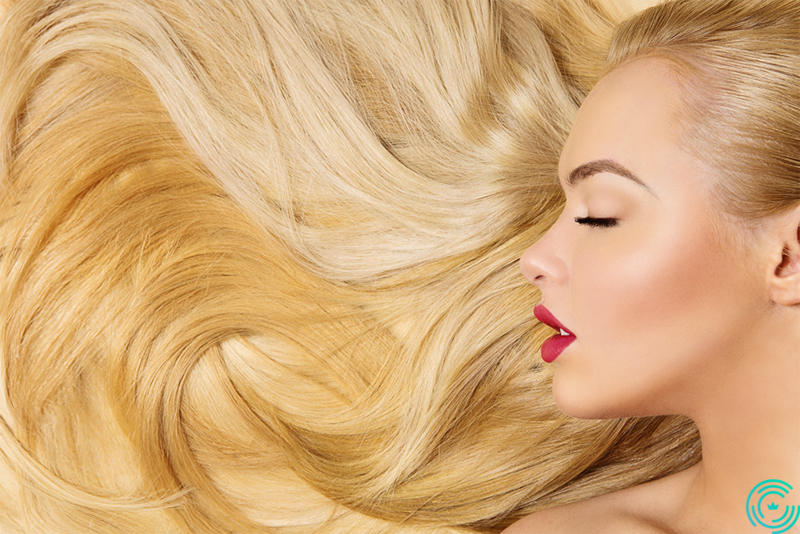 The hair industry has the ability to remain stable regardless of the economic climate. Even though most of our customers may be feeling the pinch, that will usually not make them want to cut or style their own hair. However, business owners have had to adapt which meant moving from having regular employees to booth or commission structures. This means that the individual stylist has to become savvier in self-promotion and maintaining a regular income. The onset of social media has really allowed for stylists to showcase their work to a much wider audience than was possible ever before. Gone are the days of handing out flyers and business cards, now a relevant hashtag can put you in front of potential customers with hardly any effort. The playing field has been levelled as everybody has the same opportunity to shine. Whether you are in a small town and a 3 chair salon or a 4000 sq ft luxury salon on Rodeo Drive, you now have the same ability for promotion and becoming an industry leader. Salons used to have to spend top dollar on marketing and promotion but the individual stylist can get the same effect using apps that are free or cost less than a Starbucks coffee. Not sure how to create a look, there are thousands of tutorials on Youtube to help make all of your clients dreams come true. With a little imagination, the small independent stylist can game fame, fortune and notoriety, albeit with a some effort. If you constantly work on perfecting your craft and creating content that will be sharable on social media platforms such as Instagram or Pinterest, you will not only increase earning potential but will gain valuable knowledge along the way. As an independent you are in full control of where you take your career, it doesn't have to be limited to running a full column or training junior staff. Going it alone can be daunting but using apps like Ring My stylist allows you to easily manage your client list and bookings. You can decide which services you want to offer and the price for each so clients can book quickly with as little input from you. All you then need to to is confirm, we even send out reminders so you can focus on provided the best service possible. It allows you to store client information such as colour formulas and pictures, that way if for any reason you move, those details are always with you. Increasing your exposure along side using effective tools makes clients comeback time after time, you want to make sure the transition from discovery to booking is as seamless as possible, a delayed text or call back can put of potential customers in this world of instant everything. If you haven't already done so, sign up today and take charge of your business. With spring somewhere on the horizon, you may be itching for a change, whether that be a new cut, color or complete restyle. At Ring My Stylist, we like to keep an eye out for the hottest new trends that will be big in 2018. Although not everyone can pull off some of the runway haute couture styles we see at fashion week, we have found some clues to keep you one step ahead of the game. It is time to throw away your flat iron and bring back your rollers. This year we are going back to our roots and embracing our natural curls and waves. So what if you weren’t blessed with a head full of ringlets, book one of our stylists in your area for a bouncy blow dry. We won’t tell. Swap your blow dryer nozzle for the diffuser and bust out the mouse and salt spray. It has been a while since Prince died but his legacy lives on. Purple is the colour of the year. If you are a true free spirit, then the brighter the better. Worried about the office job? Plum is a great colour that can still look very natural while giving your hair an amazing shine, suiting any skin tone. Lavender is for the more demure ladies or a peekaboo colour hidden away until you can let loose at the weekend. If all of this sounds like way too much work. A simple ponytail with the right accessories will look just as finished. Opt for contrasting colored bobby pins and use a few more than necessary to highlight the style. If you are still not sure what you want to do next book a consultation with a stylist in your area today. They will be happy to talk and guide you through the decision process. Ring My Stylist lets you go beyond names and contact info to a complete client history that records birthdays, product formulas, details about their style, hair and scalp health, products offered, and even before and after pictures. Your client information is automatically saved to the cloud, so it’s accessible from any of your devices, and historical information is always just a tap away. Pulling up historical data allows you to show your clients how their hair and scalp health has evolved over the time it’s been entrusted to you. Share your notes from your initial in-depth consultation that included slide scales and notes. Your clients will be able to see this information along with the notes of what they need to do to achieve their desired beauty goals. Manage your appointment calendar, send automated reminders, and view open and past appointments grouped by date. Clients can choose from your available appointments on their own time without calling you. All you need to do is "Confirm," "Re-Schedule," or "Cancel" your client’s request. Need to override an appointment? You can because YOU are in total control. You can view your schedule by day, week, or month: see what you want to see, when you want to see it. Have tough clients that often forget their appointments? Ring My Stylist’s advanced scheduling algorithm has the potential to totally eliminate No Shows with automatic reminders. An app update is already in the works to automatically charge a client a predetermined, mutually agreed upon fee it they don’t make the appointment they requested. Ring My Stylist puts you in total control to create, manage, update, or remove any of the services you provide. Simply select "My Services," name the service, set the duration time and price, and you are ready to go. So easy! When clients select their services, they will know the price and the amount of time for the appointment. To book, they simply highlight the service and pick the time and they know exactly what they’ll be getting. Your clients return to you time and time again because you can give them something no one else can, and you can keep it that way by protecting your product formulas. Say your client wants that color, cut, or style they had 2, 6, or 18 months ago… no problem! Ring My Stylist saved the color formula, cut and/or style along with the before and after picture of exactly what you did so you can easily reproduce it. That’s Professionalism and Consistency at its finest! Ring My Stylist has areas to write in what products and quantities were used. Maximize your clients’ satisfaction and eliminate the time spent trying to remember what you did and how you did it. As Ring My Stylist grows with you, reports will be automatically sent to you with how many services you provided in a certain time frame, what products were used, and how much of products you are going through. Enjoy the inventory assistance! Ring My Stylist knows that your beauty needs are important to you. They’re also intensely personal. In fact, we were told over and over again that a great stylist becomes like part of the family, and we totally agree. We also know that having direct contact to your stylist is a must. When a beauty emergency happens, Ring My Stylist lets you contact your stylist directly day or night. It is the only mobile app that puts you in direct contact with your stylist. Have your stylist download the Ring My Stylist app and invite you to join. Once the two of you are connected via Ring My Stylist, your relationship will be much simpler. See and book appointments from their scheduling calendar, choose your services, view your before and after pics, see your history, and even choose your payment options. As a client of Ring My Stylist, you can now share before and after pics to social media and directly with your stylist and friends. Ring My Stylist even allows you to review the historical evolution of your hair and scalp health, the products you've used, and the color, cuts and styles you've enjoyed most—they’re all at your fingertips! And this is just the beginning—there will be more great benefits to come as we update the app. You're busy, and sometimes appointments get placed on the back burner or even forgotten completely because they don’t make it to your calendar. Not anymore. Ring My Stylist’s built-in reminder feature allows you to choose whether you need one reminder or many, and at what time before your appointment. Ring My Stylist will remind you as often as you like! Have an emergency and need to reschedule or cancel your appointment? Ring My Stylist can do that for you at the touch of a button. Forgot what services you had at previous appointment? No worries, it’s stored in the cloud for you to review whenever you need it. Like what your stylist did on a certain visit? Just select Book Again and Ring My Stylist will handle the rest. Your stylist will be notified of your desired schedule and services and confirm your appointment all via the app—it’s that easy! By the time you arrive to your appointment, your stylist will be prepared and ready to go because you've already told them what you wanted. Using the Ring My Stylist app, your stylist will complete a detailed initial consultation that will include a value rating of the current state of your hair and scalp. All of this information will be available to you via the app. Ring My Stylist will even keep a history for you so you will have access to the progression of your hair and scalp’s transformation.